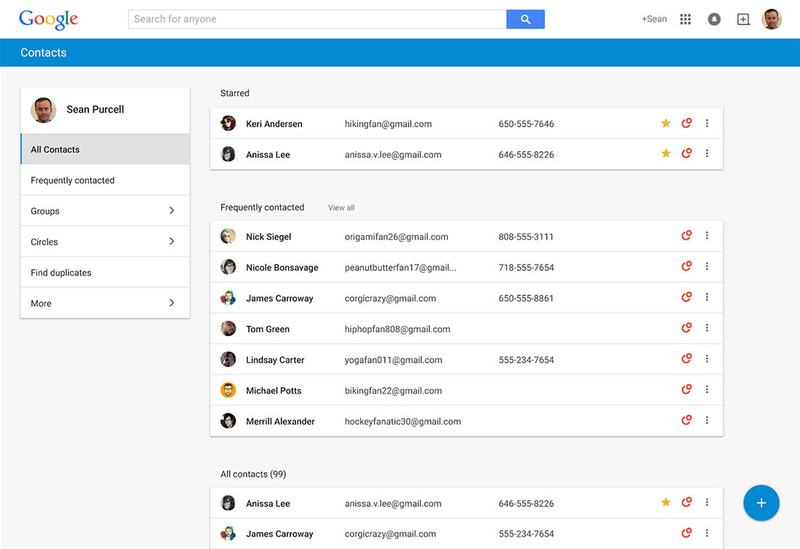 Google gave us a big update to Google Contacts this afternoon, by introducing a “fresh look and feel” to an app inside of Gmail that has been painful to use over the years. The new web version of Google Contacts will now “conveniently” pool together contacts you talk to the most in Gmail, help you get rid of duplicates much easier, show recent conversations in contact cards, and even keep your contacts up-to-date automatically. After browsing around it for a few minutes, I can tell you that it looks quite nice. The pop-up cards for contacts are well-laid out, its duplicate finder is actually pretty awesome, and the pools of contacts aren’t yet driving me nuts. 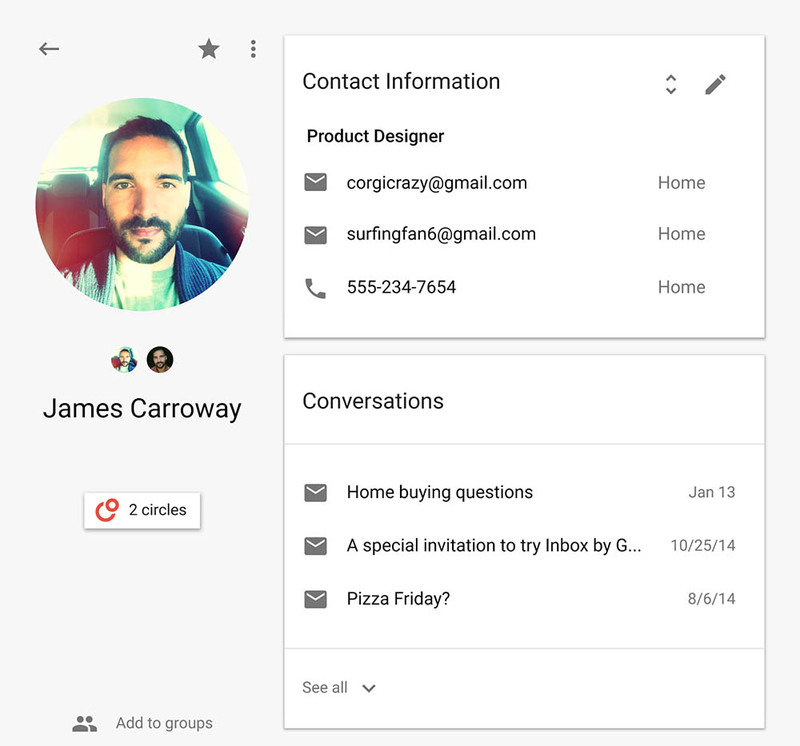 The new Google Contacts will start to rollout as a preview over the next few weeks. If you don’t feel like waiting, head over to this link to start using it now. Google Apps users, sorry, but you don’t get access just yet. Google is working on bringing it to you, though.